These days we’re increasingly aware of the many health problems linked to excessive salt consumption, such as high blood pressure, which can lead to heart attack or stroke when left unchecked. As a result, more and more of us are endeavouring to reduce our salt intake, or are perhaps even cutting it out altogether. However, salt in moderation (according to the NHS, adults should eat no more than 6 grams per day) still remains an essential part of our daily diet. Indeed, our bodies require a certain amount of salt in order to maintain the correct concentrations of bodily fluids, as well as for nerve and muscle function and healthy digestion. And, there’s one particular type of salt that seems to offer a mountain of hidden health benefits to boot, making it the natural choice for the more health conscious consumer – Himalayan pink salt. Himalayan pink salt is a variety of halite – a mineral form of sodium chloride, which is more commonly known as rock salt. Himalayan pink salt comes exclusively from the Pakistan Himalayas and tends to vary in colour from white and pink to very deep red, depending on its iron concentration. Once sold only to nobility, this so-called ‘salt of kings’, is the salt of choice for many of today’s top chefs and is a standard ingredient in a range of natural health and beauty treatments available from some of the world’s leading spas, saunas and steam rooms. What makes Himalayan pink salt a better choice than table salt? Unlike table salt, which is so often stripped of all its goodness during aggressive processing techniques and contains man-made chemicals, Himalayan pink salt is totally pure and unrefined. It is hand-mined (without the use of any machinery or explosives) from evaporated oceans that were once present in the Pakistani Himalayas millions of years ago and at a time when environmental pollution simply didn’t exist. Sun-dried in order to retain an optimal number of its naturally occurring nutrients, Himalayan pink salt contains up to 84 different minerals and trace elements and is particularly rich in iron and magnesium. 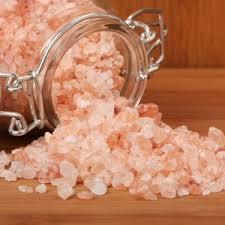 In fact Himalayan pink salt contains every mineral and trace element found in the human body. The good news too is that, whilst Himalayan pink salt does contain sodium, it contains less sodium than ordinary table salt – and it is the sodium in salt that is specifically linked to an uwelcome increase in blood pressure. Himalayan pink salt – truly worth its salt! Danish author, Isak Dinesen once said, ‘the cure for anything is salt water – sweat, tears, or the sea’. Not surprisingly Himalayan pink salt has been highly prized as a natural remedy for centuries – as part of a healthy balanced diet, it can offer a mountain of hidden health benefits, three of which are explored in more detail below. Gently flushing your body with water that contains Himalayan pink salt is an extremely quick and efficient way to cleanse your digestive tract without any of the harmful effects associated with shop-bought medications. Salt water acts as a natural laxative that removes toxins and impurities (such as lead, mercury and arsenic) from your gastrointestinal system, and simultaneously balances your body’s acidity and alkaline levels. You can rustle up a detoxing Himalayan pink salt sole – a 1% water/salt mineral infusion that mimics the salt composition of your blood, tears and the sea – easily at home by placing one tablespoon of Himalayan pink salt crystals into a jar, topping with (spring) water and leaving overnight. Just one teaspoon of this powerful solution in a glass of water each morning will reap optimum results. Alternatively Himalayan pink salt can be used to prepare a highly cleansing salt bath – indeed, many swear that this particular technique offers the same detox rewards as an entire three days of fasting! Soaking in a bath that contains small amounts of Himalayan pink crystal bathing salt actively lowers acidity and inflammation within your body and balances the pH of your skin on the outside. It’s also wonderfully soothing and can even help to reduce the pain and tenderness caused by muscle or joint strain, as well as arthritis, rheumatism, osteoarthritis and tendinitis. Electrolytes are special minerals within your body, such as sodium, calcium and potassium, which boast an electrical charge – they are found in your blood, urine and bodily fluids for example. Maintaining the correct balance of these electrolytes helps your body’s blood chemistry, muscle action and several other important processes. Certain triggers, such as taking medicine, suffering from kidney related problems, vomiting, diarrhoea or sweating, can cause your electrolyte levels to become either too low or too high, leading to dehydration or even over hydration and resulting in tiredness, fatigue and lack of concentration. Its unique composition, coupled with an unrivalled ability for rapid absorption into your bloodstream, makes Himalayan pink salt far more effective than ordinary table salt in restoring healthy electrolyte balance quickly, easily and without fuss, especially for those who exercise (and thus sweat) a lot. The perfect balance is approximately a quarter of a teaspoon of Himalayan pink salt per every litre of water. According to the British Association of Dermatologists, around half of the UK population currently suffers from some kind of skin condition, including eczema, psoriasis and acne. In fact the number of eczema cases in England rose by a staggering 40 per cent between 2001 and 2005 alone. And, thanks to our nation’s growing fondness for junk food, acne is now no longer the preserve of teenagers, but increasingly affects those in their 20s, 30s and 40s. Yet healthy skin is not only important for self-esteem – as your body’s largest organ, your skin protects your muscles, bones, ligaments and other internal organs, acts as your body’s first line of defence from external pathogens, and is responsible for insulation, temperature regulation, sensation, as well as the production of vitamin D folates. 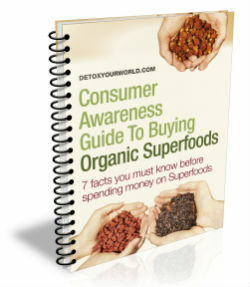 So, it’s vital that you learn how to nourish and take care of it properly. Himalayan pink salt is an utterly indispensible tool in your daily skin care regime – it is an incredibly effective exfoliant and dry skin treatment that can be harnessed to promote natural cleansing for healthy, glowing skin that’s pleasingly free from the type of skin disorders mentioned above. In addition to visibly improving the texture, tone and appearance of your skin, Himalayan pink salt can also be used to calm and soothe insect bites and heal blisters and other minor skin irritations. For best results apply Himalayan pink salt directly to your skin immediately prior to bathing or add a small amount to a bathtub of running water and remain soaking for a minimum of thirty minutes. Don’t worry about rinsing the excess Himalayan pink salt from your skin afterwards – simply pat your skin dry for demonstrably softer, smoother, more radiant skin than ever before! Himalayan pink salt is a sensible alternative that can be used in exactly the same way as table salt. Try stirring your finely ground Himalayan pink salt into both hot and cold drinks, or use as an additional ingredient in a large range of sweet and savoury rawfood and superfood recipes. And don’t forget that both coarse Himalayan pink salt and Himalayan pink salt crystals are especially suitable for use in an invigorating steam bath, salt bath or sauna. ← Lucuma powder – proving you really are sweet enough without sugar!